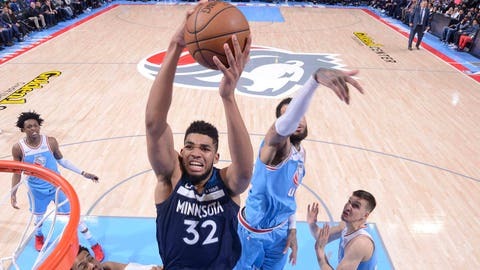 The Sacramento Kings had no answers for Karl-Anthony Towns and Andrew Wiggins on Monday night. The two young stars combined for 48 points in Minnesota’s 118-100 win over Sacramento. Check out the highlights! Teague flies in for two points! Wiggins just drove past the entire city of Sacramento. Fact of life: When @JCrossover isn’t breaking your ankles, he’s nailing 3s in your face.